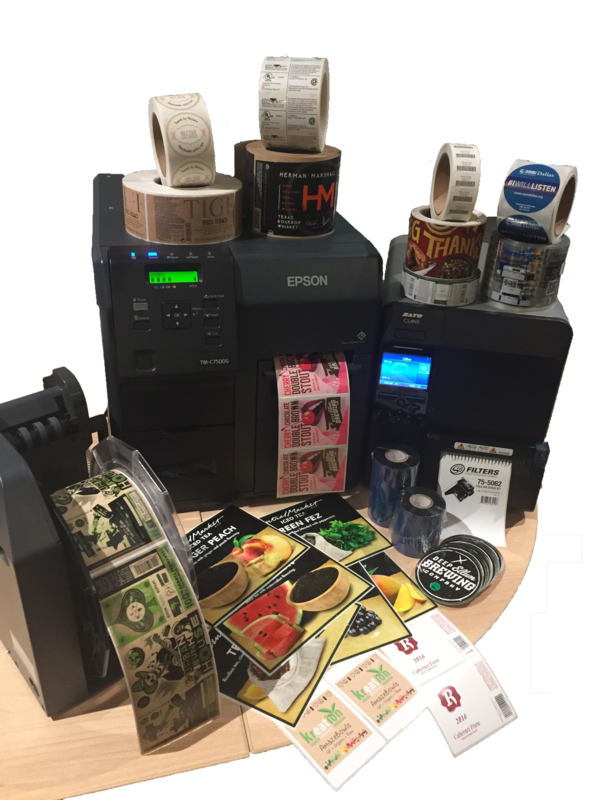 You might have a multitude of products and/or label version variations that call for multi-color in-house printing, rather that garnering labels printed end-to-end with your labeling partner. Our blank and foil-stamped labels are available for die-cuts in various sizes, shapes, materials and adhesives. They are then provided on roles for use in inkjet digital printers, such as the Epson C3500 and C7500. With these printers, we offer inks, software, trainings and consultations as purchase options. We could even customize our ongoing support level to your business needs. In a scenario similar to No. 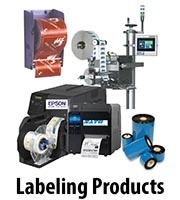 1 above, your business calls for printing your own specific label design(s) and/or versions. Meanwhile, your inkjet or laser printer requires sheeted labels to be fed into the machine to print. In this case, we could provide blank labels in various sizes and shapes that accept inkjet or laser prints. Among SixB's specialties is utilizing a multitude of printing methods, including: HD Digital, Flexography, Foil Stamping, Embossing, and Silkscreen work. 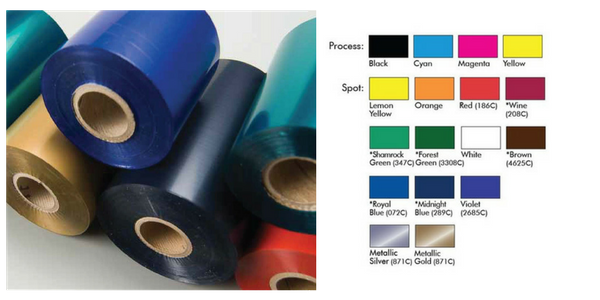 The output labels, available in various sizes, shapes, materials, and adhesives, could be provided in rolls or sheets and developed with line or process work. These labels incorporate durability options such as Lamination or Varnishes; they could also be as custom as your business requires, or could leverage size and shape tooling already in stock for more cost efficiencies. While product manufacturing typically incorporates producing and developing a number of variations, it also requires the printing of multiple label design and information versions to match. 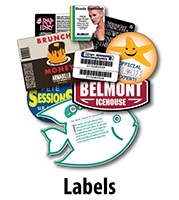 SixB Labels prides itself on providing labels across a spectrum of printing methods, including those previously listed: Thermal Transfer, Foil Stamping, Flexography, and Digital Inkjet. At the same time, our company is one of the relatively rare manufacturers to engineer across methods for combination printing solutions. Ultimately, SixB takes the complexities of your business needs into account while developing a simplified labeling program. Developing a labeling program where designs are partially or fully printed within one's business can prove exceptionally complex. SixB is happy to help create a solution custom-tailored to each client's requirements. For example, we could develop a procedure for die cutting the size and shape of your labels, leaving them blank or with base printing, using our various printing methods, and then print personalization and information for product variation via one of our multi-color Epson Brand Inkjet Printers or single-color Sato Brand Ribbon Thermal Transfer Printers. These printers could be available for purchase later. Note below the multitude of ribbon color options too. 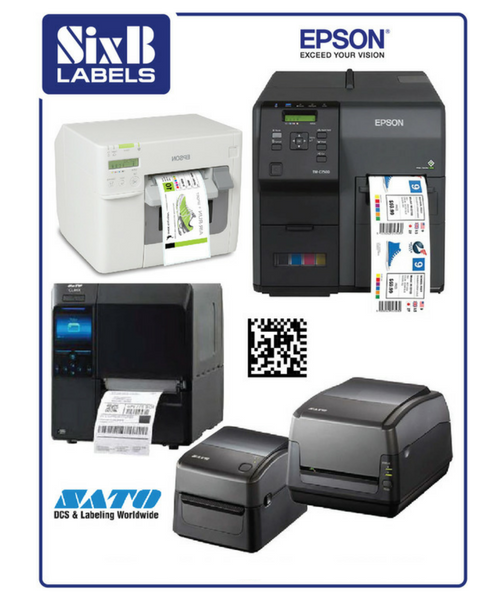 Label Design Software, Printer Ribbons and Die-Cut Labels are also available for ongoing purchase. When a business is ready to purchase the printer and additional products, SixB will provide the related label design files and offer applicable trainings. SixB customizes support for our clients with their benefit in mind, rather than vice versa. In your labeling decisions with SixB, choosing the appropriate label type, material, shape, and so on for your product or purpose is a key category, and there are some additional "add-on" products that might be appropriate to consider. Label Applicators can be extremely influential in streamlining a manufacturers' production processes, with offerings varying from the most simple standard feature set-ups to the more elaborate customized ones. Label Dispensers are one of those gadgets that are so handy and renowned — in set-ups ranging from production lines to payment stations — that it is difficult to imagine not having at least one of them. Additionally, Premium Wax/Resin Printer Ribbons are going through what one might call a Renaissance Period. In the past, single-color Thermal Printers were relegated to Black Ribbons, or if a cost effective provider could be found, Bright Blue, Red, or Green Ribbons. Now, SixB offers 17 Colors that could provide a business with smudge and scratch resistant functionality and much more. Even better, these ribbons are cost and operation conscious, and require only a "minimum order quantity of one." Essentially, these ways to develop your labeling program with SixB reflect how we have been Simplifying Labeling since 1979, providing standard and custom options alike. We invite you to connect with us in the way you choose: Email Us for General Questions, Request Label Samples, or Request a Quote!